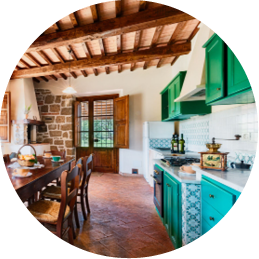 Elegant and comfortable stone farmhouse on two floors, with two porticoes and a guesthouse (Casetta del Cacciatore). 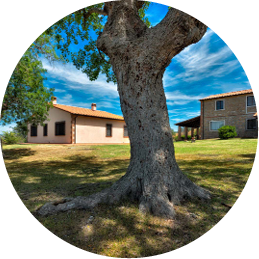 This property takes its name from the hill on which it stands, offering an unspoilt view of the fields and Mediterranean landscape, extending as far as the sea. The lovingly furnished interiors bring out the very best of the original structures. In the garden that follows the gentle lines of the hill on which it is situated,you can enjoy the shade of the tall trees and the scents and colours of the Mediterranean plants. It has a pool (14 x 7m; depth 1.55 – 0.9m, with masonry steps) with hot shower and solarium, umbrellas, loungers, garden furniture and barbecue for refreshing outside dinner.